What's inside the box? 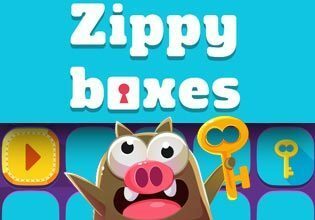 Help Piggy the key-keeper free his friends locked inside! Touch and guide the colored boxes to their matching keys. Solving each puzzle makes Piggy happy! If you are stuck on a level, you can always go back a step. Boxes can move other boxes. Arrows on the game field change the direction of a box.